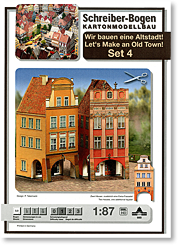 Let's Make an Old Town! Both of these old town houses feature arcades, but very differnt. façades. And there's even an extra front, just in case you'd like more variety. 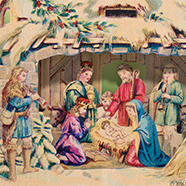 A Premium Download & a quality 13 x 19 glossy Nativity Sheet ink-jet printed on professional heavyweight paper. 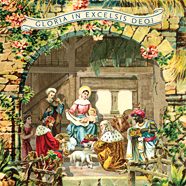 With excitement and a sense of great anticipation we open the doors of the PaperModelKiosk.com, a virtual emporium for lovers of nativities and paper models. 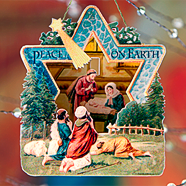 Nativity and paper model enthusiasts always ask, "Where do I find…" Now, you know. 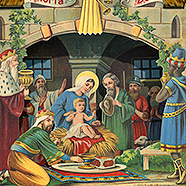 Crèchemania.com has been dedicated to the appreciation of paper nativities, and with the Paper Model Kiosk that appreciation extends to other beautiful paper models, like those charming little houses intended for model railroaders but that are so ideally suited as Christmas ornaments. Just click on Buildings at left. 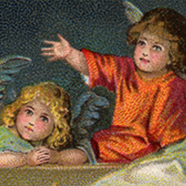 You'll also want to see all our brand-new Premium Downloads, High Definition files of vintage nativities for you to download and print. 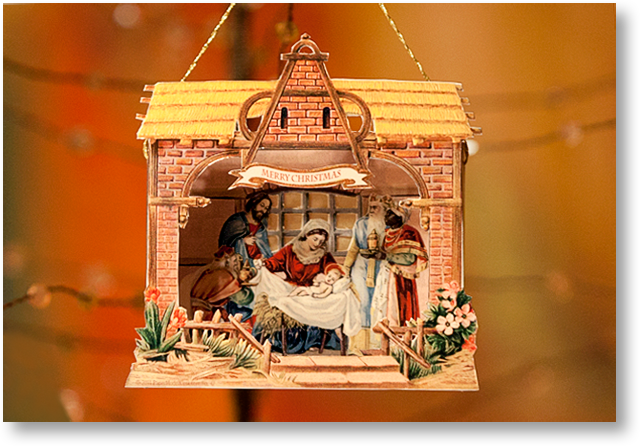 Our initial Premium Downloads offering includes antique nativities from the Crèchemania Collection that you just might find irresistible. Enjoy! Browse! And, by all means, shop! And please do click the contact button at the top of the page to tell us how to serve you better; what you like; what you don't; and what you'd like to see on the virtual shelves of the PaperModelKiosk.com. We've just opened our virtual doors, and we'd love to hear from you! Tell us what you like, what you'd like to see, how we can serve you better. Just click here or the "contact" button at the top of the page, and let us hear from you!